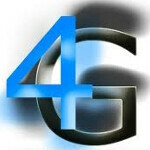 Demand for smartphones with 4G connectivity started surging last year, picking up strength in the fourth quarter of 2011. According to the latest data from the NPD Group, 35% of all smartphones sold in the U.S during the fourth quarter had support for 4G. Thanks to a ruling made by the ITU more than a couple of years ago, 4G networks include HSPA+ pipelines, WiMAX and LTE networks. That is an amazing jump from the 6% of smartphones sold that offered 4G connectivity in the U.S. during Q4 of 2010. Supported by 22% of U.S. smartphone sales, HSPA+ captured the most 4G users in the States in the last three months of 2011. During that period, AT&T had not yet launched its LTE network, and like T-Mobile, had to rely on the HSPA+ technology to offer 4G service. HSPA+ use also surged thanks to sales of the AT&T branded Apple iPhone 4S. While the latter is not officially marketed as a 4G device, it does offer users up to 14.4Mbps download speed Some of the carrier's other handsets running at that speed have been labeled as 4G devices. Verizon's LTE service accounted for 7% of U.S. smartphones purchased during the quarter. According to NPD, 26% of those buying an LTE model in the period were looking for a 4G enabled device, compared to the 9% of smartphone buyers during the same time period who were seeking such a model. Ross Rubin, executive director, Connected Intelligence for The NPD Group, said that HSPA+ is "a compelling evolutionary 4G upgrade option for carriers upgrading GSM networks." Rubin sees HSPA+ becoming the baseline technology for U.S. carriers as the major mobile operators have committed to LTE for 4G service. After peaking at 11% of the U.S smartphone market in the third quarter of 2011, Sprint's 4G WiMAX alternative finished the year with a 6% market share of new smartphones purchased in Q4. NPD's Mobile Phone Track took a look at all U.S. smartphones purchased by buyers 18 or older and found that the top selling model for 2011 that supported WiMAX was the HTC EVO 4G. 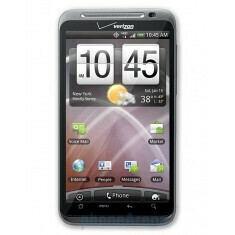 Last year's top selling HSPA+ model was the Apple iPhone 4S and the LTE enabled handset with the most sales was the HTC ThunderBolt. Well only the AT&T 4s is ridiculously labeled as 4G, but even then, its not even HSPA+, is it? Its a complete joke to think that a software update can con so many iPhone users into thinking they have 4G now. Heard it 3 days in a row now, customers at my Sprint store asking why we don't have a 4G iPhone yet when AT&T does. Good lord... To think that if iPhones were included in the 4G numbers for 2011, and its not HSPA+, what would they be without them (as it should technically be)? Who runs these surveys, monkeys? First of all, sorry to say but, US 4G is close to Europe 3.5G while US 3G is a little faster than Europe GPRS (I don't know about Coreea or Japan but they got fast wi-fi and I think mobile speeds tops the ones in Europe); it's only natural that US users want decent mobile internet speed which is, for your market, 4G. Second, 4G (true 4G) speeds (9-10 Mbps with 10-30 ms ping times) won't be truly useful before a few years, meaning it's no rush so don't be so impatient :)! HSPA+ isnt real 4G. Im not a fan of how ATT tries to make it seem like they have such fast speeds with their iPhone. What a sketchy company.